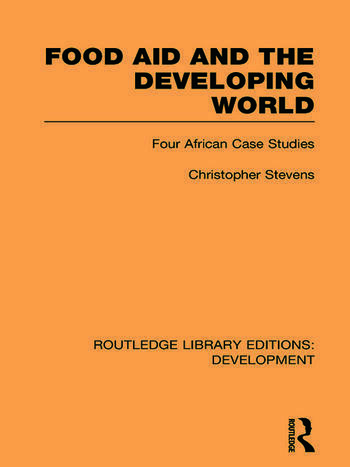 Food aid is a controversial form of development assistance and this book, first published in 1979, seeks to counter allegations from critics by taking account of both direct and indirect affects. Based on field research in Tunisia, Botswana, Upper Volta and Lesotho, it considers aid from the UK, EEC, USAID, the World Food Programme, Canada and France, and draws a number of policy-orientated conclusions about the impact of food aid on nutrition, consumer prices and agricultural production. In the light of the evidence from field studies it is shown that many of the claims advanced by food aid supporters and by critics cannot be sustained, and that the real impact of food aid is rather different from that assumed by the conventional wisdom on the subject.